Gwendolyn plays Ysaÿe, the new audio-visual production. Available at Naxos and digitally on most platforms. After more than a decade, Gwendolyn steps out again with a recording. 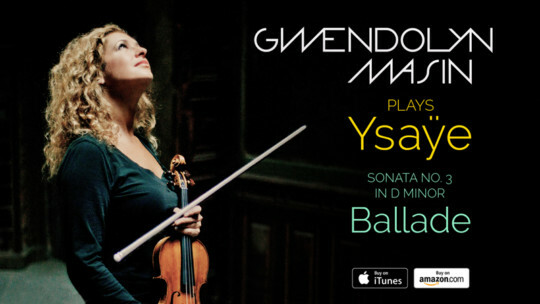 Her interpretation of Eugène Ysaÿe's "Ballade" is available as both a sound and a visual experience at Naxos and digitally on most platforms.